Gain control of all training activities across your organization. 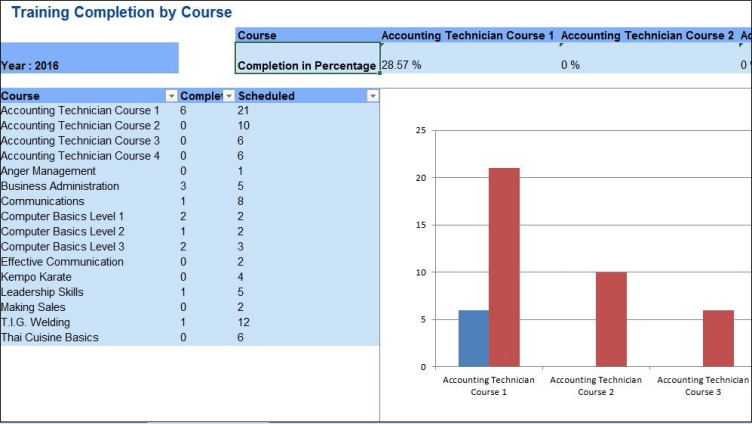 Easily run reports on who is be trained, on what and when it’s happening. 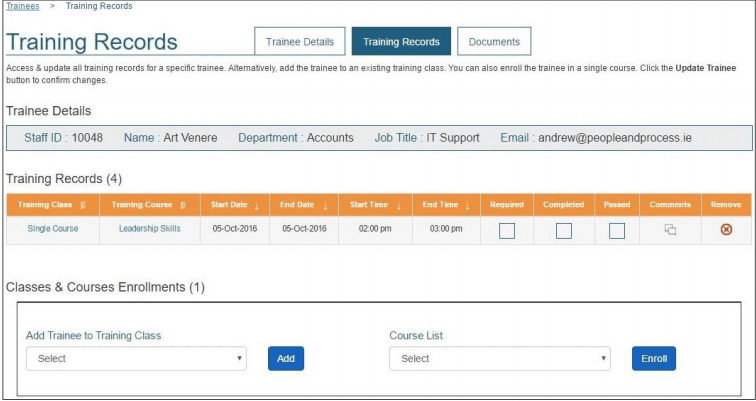 Manage all course types and verify completion with this intuitive yet powerful web training application. 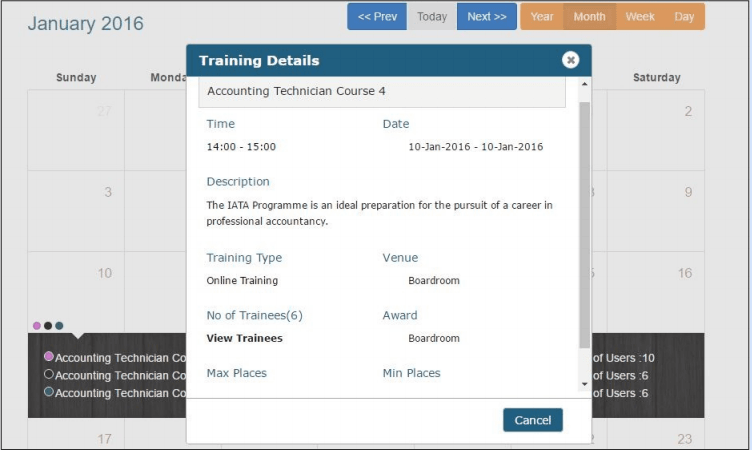 Create your training events with customizable lists for delivery methods, tutors, locations and awards. Track & View all scheduled courses, weekly, monthly and yearly via the training calendar. Send training invitations via email to your trainees. Can you easily provide statistical data on your organizations training for a single trainee, a whole department or a specific course? Training Manager offers a whole suite of training reports to help you calculate the effectiveness and value of your training programmes. Generate graphical, Excel or PDF reports from an intuitive interface. Click to access our Membership plans.